When you have lost all or most of your teeth, you may lack the confidence to eat your favorite food, both hard and soft. This can directly affect your overall health since it creates an imbalance in nutritional intake. Dentures are restorations that have been traditionally used as artificial teeth replacements when all or most of the teeth are lost. Today we have advanced implant-supported overdentures which are functionally brilliant and are successful in boosting the confidence of patients. If you or any of your family members are suffering from tooth loss, come to speak to our implant dental specialist in Cathedral City, CA. Through quality dental restorations, we can create a healthy smile for you. Express your concerns and our team will tell you if implant-supported overdentures are the best option. Being toothless can lead to several problems in overall health. There can be changes in facial shape. 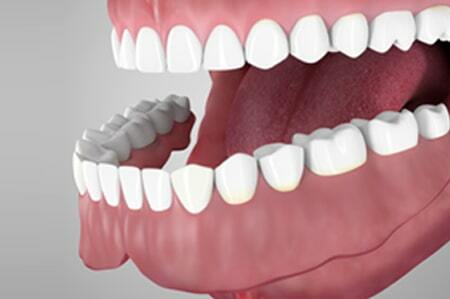 When there are no teeth remaining the supporting bone shrinks over a period of time. This can make the person look old. 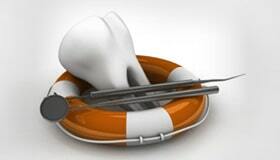 Implant-supported dentures are restorations which are recommended when the patient has a healthy supporting bone. 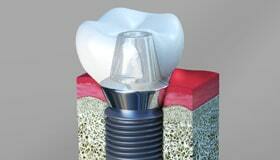 The supporting bone can act as a foundation to implants which in-turn can support dentures. The denture can be fixed over the implants through different types of holding mechanisms. The denture is very stable when in the oral cavity since it is supported by implants. It is removable and should be cleaned once a day. Bar-retained implant-supported overdentures - In this type of dentures, a metal bar is fixed over implants. The denture has clips or other types of holding mechanisms which enable fixing of denture over the bar. 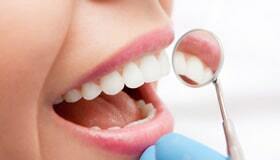 The restoration procedure starts with a thorough dental examination and questionnaire. Patients may have to tell our dentist about their dental and medical condition and the medicines they consume. We may use X-rays to check the status of supporting bone. On confirmation that the bone is healthy, we plan for placement of dental implants. 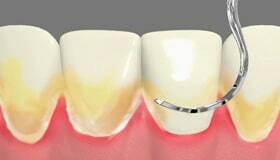 About 2 or more implants may be required to support dentures in each arch. The implants are surgically placed in the supporting bone and left to heal for a few months. Impressions of gums are taken and a temporary denture is prepared at our office. The denture is placed over gums in such a way that the implants do not get the load. After the healing period, impressions are taken in order to get permanent denture fabricated in the lab. 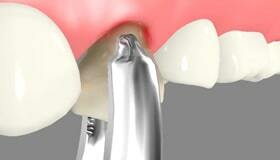 Metal attachments that hold the denture are fixed over implants. We check for fit of permanent dentures before fixing them over the implants.